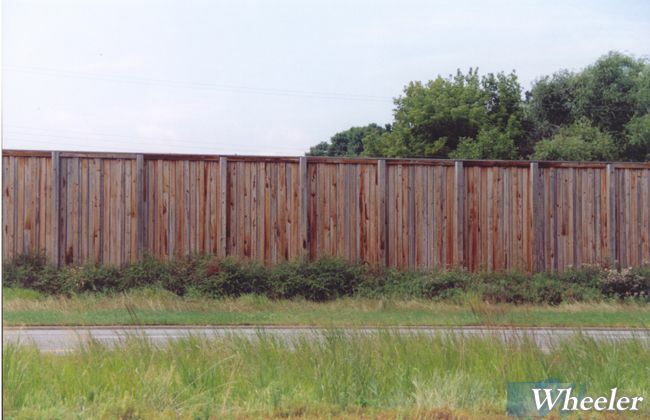 Prefabricated, tip up panels provide the basis for this treated timber sound wall. 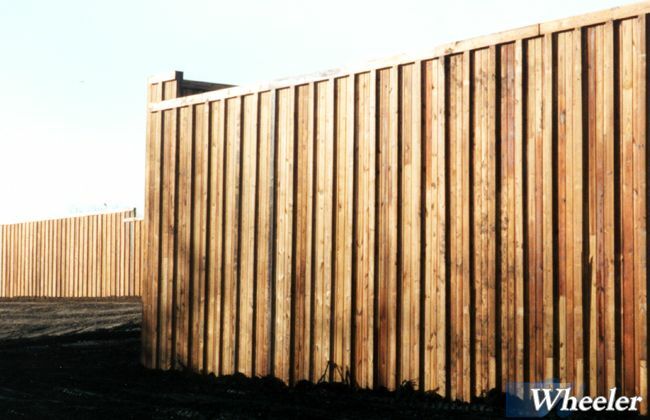 Individual glued laminated pieces are panelized with vertical battens and then delivered to the site for fast erection. The panels are embedded in the ground without the use of separate posts. This provides a seamless wall, simplifying the installation. The panel thickness varies based on the exposed height of the wall. Often this provides the thinnest option when right-of-way is limited. Glued laminated rubrail is added when located near driving lanes. 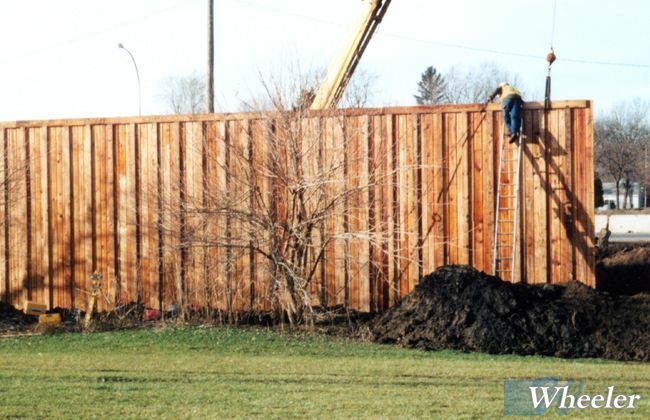 The walls are lightweight and ideal for attachment to bridge structures. 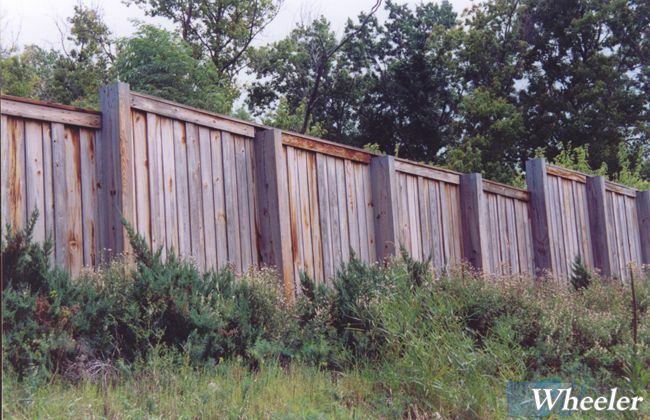 They require no staining and stand up to the harsh conditions of the highway with little or no maintenance.